In my early twenties, I said goodbye to my family in New York City and moved to Boston for graduate school. While I’d been living in my parents’ house, I talked to my mother, father, and teenage brother all the time, and felt really good about doing so. After I moved out, I wanted to stay close, so I called my family often. However, phone calls with my brother proved a major challenge. I called him regularly but he usually did not call back. My mother encouraged me to keep calling him, and reminded him often to call me – which he rarely did. I was upset and confused by this, as you can imagine, and when I visited NYC and pressed my brother to call me, he apologized, and said he would call back when I called. He did so for a bit, but then stopped again. My mother was distraught, and I was too. Negative feelings and thoughts kept running through my head: why didn’t he call me back? Didn’t he love me? Didn’t he care about me? This issue festered for a couple of years, until I decided to deal with it directly. On my next extended visit to NYC, I sat down with him, and had a serious conversation. It turned out that my brother really dislikes talking on the phone. This form of communication just stresses him out. He has a much stronger preference for instant messaging as a mode of communication. Moreover, his Elephant brain developed an “ugh field,” a variety of negative emotions, around communicating with me. This was due to the combination of pressure he experienced from my mother and me, and the guilt and shame that came from him failing to call. I really wish I knew how he felt! What I should have done was notice that he was not calling me back, and have a conversation about the problem with him right away. I should not have insisted that he call me, but instead express curiosity about why he did not. That way, I would have found out about his anxiety and stress around phone conversations. He would not have felt guilty and pressured. I would not have felt sad and confused. Everyone would have been better off! This story illustrates the importance of adapting one’s communication style to one’s audience. Much has been written about the vital role of communication in the workplace and in civic engagement, especially analyzing and targeting the preferences of your audiences to meet you communication goals. Research shows that such communication is also vital in our personal lives, such as ensuring healthy romantic relationships. 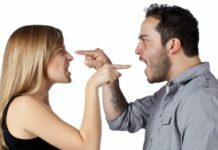 Studies of family communication have likewise shown the importance of communicating well and especially being flexible about one’s communication style and preferences. Such flexibility was the missing ingredient in my communication to my brother. I had the goal of cultivating my relationship to my brother, but was trying to reach this goal in a way that was not intentional. So I decided to be more flexible and started exchanging Facebook messages with him, using Gmail chat, and other instant messaging services. We grew closer and had a much better relationship. We even worked to solve occasional problems that would come up between one of us and our parents! Now, why did this problem occur in the first place? Well, from my background growing up, I developed a reference point, in other words a perception of what is normal and appropriate, of the phone being the “right way” to maintain and cultivate relationships with close people. I suffered from the anchoring bias, a common cognitive bias, the scientific name for thinking errors frequently made by our minds. The anchoring bias occurs when people rely too heavily on information they got early onward, and do not move away from this anchor sufficiently based on new information. I had to acknowledge that I failed at my brother’s mind and forgot that my mental map does not match his mental map. So how does one deal with the anchoring bias? A useful strategy is remembering the benefit of re-examining our cached patterns. This term refers to habits of thought and feeling in our mind that we absorbed uncritically from the social environment around us, as opposed to conclusions we arrived at by our own intentional reasoning. Re-evaluating our cached patterns of thought and feeling enables us to see reality more clearly, make more effective decisions, and achieve our goals, thus helping us gain greater agency in personal relationships and other life areas. So whenever you notice yourself confused or upset by something that you did not expect, stop and think: what is the origin of your confusion? Is it coming from some sort of cached pattern, where you think something is the only “right way” of doing things? Think about whether there are any alternative ways of achieving your desired outcome. (This is part of a broader strategy of dealing with common thinking errors by considering alternatives, which research shows is a very effective way for avoiding thinking errors.) Try listing at least 3 alternatives, and describe why each of them can be valid and right, at least for other people if not for you. Remember, relationships are a two-way street, and you need to respect the other person and their preferences in order to communicate well. To help you internalize this information, gain long-lasting benefit from reading this article, and use it effectively in your everyday life for improving your thinking, feeling, and behavior patterns, reflect on and answer the questions below. Can you identify any ugh fields you developed? How do you deal with ugh fields? In what ways, if any, can you be a better communicator in your professional, personal, and civic life areas? Are there any instances where the anchoring effect caused you to make suboptimal decisions? Do you think you have any cached patterns that might be harmful to your mental wellbeing? If so, what steps can you take to deal with these cached patterns? 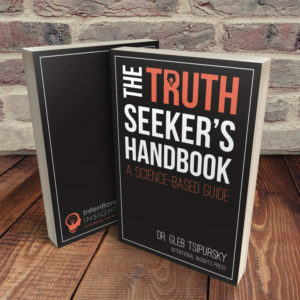 Dr. Gleb Tsipursky is the President of Intentional Insights, and co-founder of the Pro-Truth Pledge. A behavioral science expert with over 15 years in academia, including as a professor at Ohio State University, Gleb is a speaker and consultant on decision-making and social and emotional intelligence. 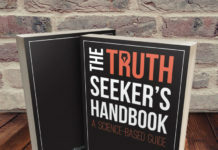 He authored the #1 Amazon bestseller The Truth-Seeker’s Handbook: A Science-Based Guide and frequently appears in venues like Time, Scientific American, Newsweek, Fast Company, Inc. Magazine, NPR, CBS News, Psychology Today, The Conversation, and CNBC. 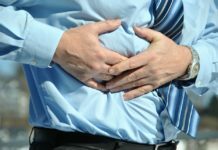 When Should You Go With Your Gut in Business Relationships?